Arlene Nash-Ferguson, 40th Independence Anniversary Committee member, announced that the 40-day Independence Countdown will be launched in Rawson Square at 6:00 pm May 31, 2013. 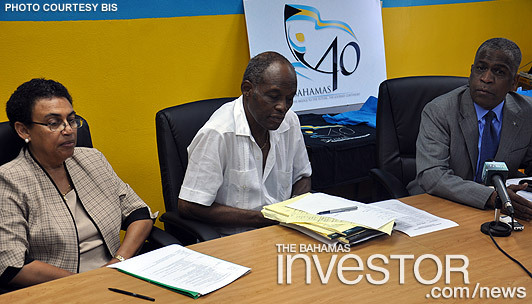 “The intent of the programme is to encourage excitement and the build up for our independence celebrations,” Nash-Ferguson said during a press conference at the 40th Anniversary Independence Secretariat, May 8, 2013. She explained that one of the main features of the launch is that the official Bahamian flag for Independence 40 will commence a 40-day journey from Rawson Square that evening and travel throughout the Islands of The Bahamas with the assistance of the Royal Bahamas Defence Force, the Royal Bahamas Police Force and other agencies. “We want every single Bahamian to feel a part of the 40th Anniversary celebrations and the flag is a symbol of unity; we want every island to have the opportunity to raise it if only briefly before it gets to Clifford Park. That is the main centrepiece for the 40-day celebrations,” she said. She added that the committee is encouraging the entire country to get involved and to prepare for the 40-day launch. Chairman of the 40th Anniversary Independence Secretariat, Jack Thompson and co-chair of the 40th Independence Anniversary Committee, Charles Charter also attended the press conference with special guests the Region Bells from Cat Island. Thompson announced that the Region Bells, the longest serving gospel group in the country, created a jingle for the 40th Independence Celebrations called A Bridge to the Future, the Journey Continues. Carter added that the group will be celebrating its 65th anniversary on July 7, and that celebration is going to be first gospel event of the 40th Anniversary Independence calendar. 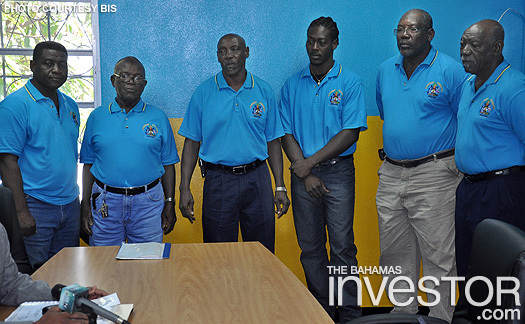 He also encouraged Bahamians to visit the Independence celebrations official website. Carter said plans are well on the way for a celebration of Bahamian music, which is tentatively being called From Burma Road to the Barefoot Bandit. Further, he said downtown business owners are going to decorate their stores and the Bay Street area, while the government is going to start putting up independence decorations and flags. Speaking aboard Norwegian Cruise Line’s new 1,062 ft Norwegian Breakaway, which will sail out of the terminal on Manhattan’s West Side, New York Mayor Michael Bloomberg promised the leaders of Bermuda and The Bahamas—both of whom were in the audience—that he would be spending much more time on their islands once his mayoralty ends on December 31. Cable & Wireless Communications has appointed two new executives to the board of BTC - Tony Rice as chairman and Chris Dehring as director. Watch a ZNS news report on the senior management changes here.